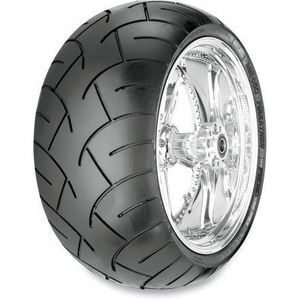 240 to 300 18″ rear sizes, suiting all customization needs, this high tech performance radial tire is a joining of performance with outstanding appearance: Wide–Wider–XXL. It features an 0° steel belt ensures outstanding dimensional stability for higher degree of freedom in tuning, making it possible to mount the rear fender extremely close to the tire. The Tire Mount & Balanced Option is only for wheels purchased from Titan Customs.